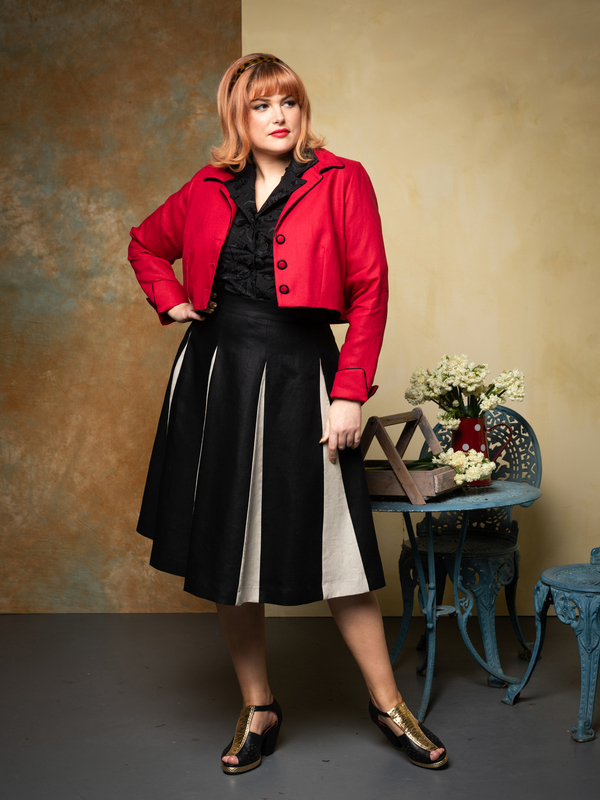 Lulu looks timeless in the Sorrento Jacket in ROSSO, the Audrey Blouse in FIORE DELLA NOTTE and Roman Holiday skirt in NERO/naturale. The Roman Holiday Skirt is fitted at the waist and flared from the hip with dramatic contrasting panels. The Sorrento Jacket is inspired by the beautifully tailored jackets of the early sixties.